Located in the heart of Central Virginia, Charlottesville is the epitome of Southern charm and history, surrounded by the majesty of the breathtakingly beautiful Blue Ridge Mountains. 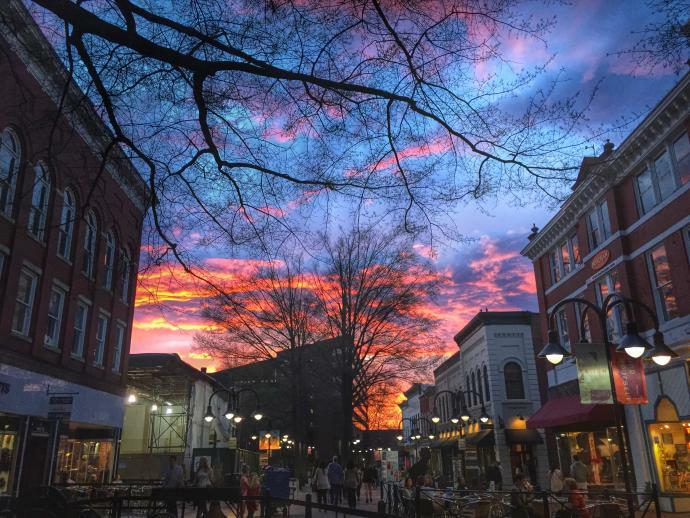 At the epicenter of this idyllic, quaint city, is the historic pedestrian Downtown Mall – an eight-block wonderland of restaurants, shops, music venues, and much more to see and do! 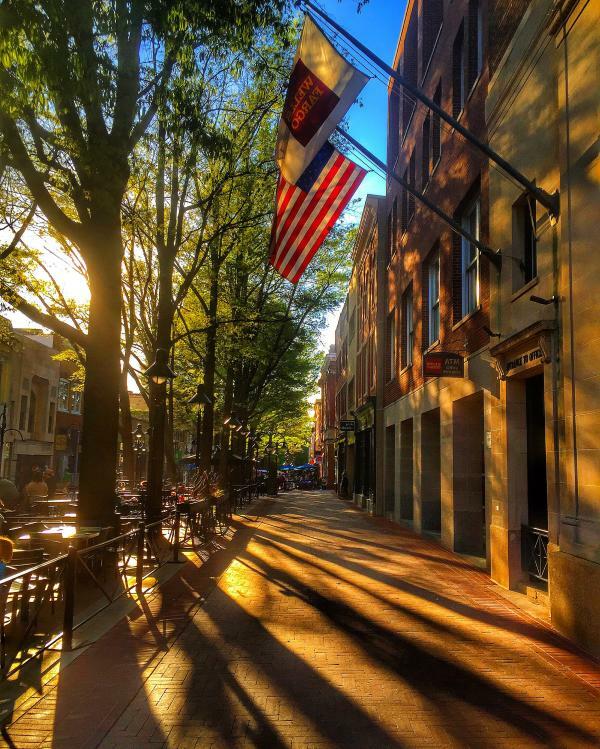 This pedestrian street is lined with buildings that exude history, in an area that was once home to three former presidents – Thomas Jefferson, James Monroe, and James Madison! Recently celebrating its 40th birthday in July 2016, the Downtown Mall continues to thrive and looks to keep this positive momentum going well into the future! It’s no secret that the Charlottesville area has an ongoing love affair with food. In fact, it’s adored and celebrated at every opportunity. After all, the region was leading the pack when the farm-to-table movement began to pick up steam and this culture is still heartily embraced today by the plentiful restaurants that line the Downtown Mall and the side streets immediately adjacent to it. Visitors can stroll up and down this pedestrian walkway, beautifully lined with large, mature Oak trees, and have their choice of almost any type of cuisine. For a step back in time, check out The Nook, which offers up delicious diner food reminiscent of what you would expect to find in the 1950s, with a few modern twists. For something a bit more edgy, Zocalo, located at the center of the Downtown Mall, serves up contemporary Latin-inspired cuisine and cocktails in a trendy and hip atmosphere. For something more on the traditional and elegant side, The Downtown Grille offers delicious surf-and-turf entrees, in an upscale white-tablecloth environment. A few doors down, you will find Miller’s, which is the legendary restaurant/bar where none other than the world-famous Dave Matthews Band had its humble beginnings, before taking the national and international music scenes by storm. There are also options for French, Mediterranean, and Himalayan cuisines – and everything else in between! 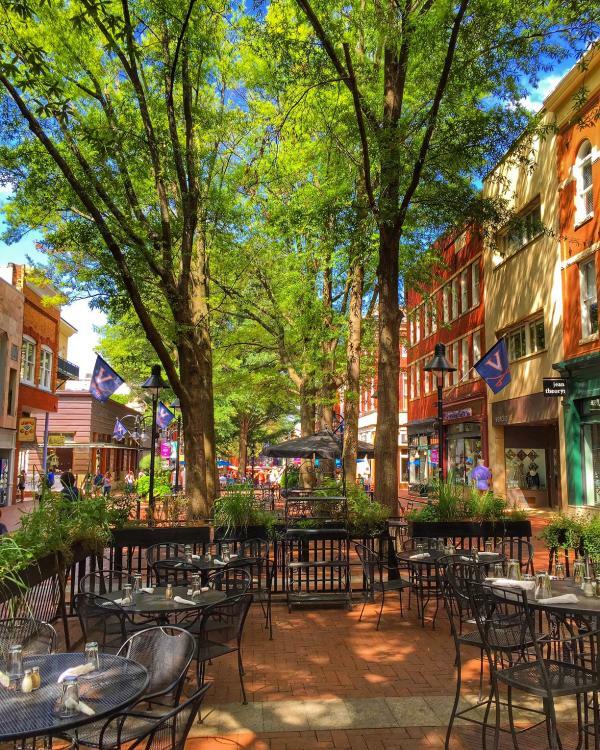 Plus, many restaurants located on the Downtown Mall have outdoor patio spaces (most of which are pet-friendly), which are absolutely perfect spots for enjoying a meal “al fresco” on a gorgeous Virginia day. You may even be treated to a performance from street musicians who can often be found walking up and down the Mall, serenading visitors with their happy, melodic tunes. Once you’ve had your fill of food and drink, it’s time to shop! The Downtown Mall is lined with boutique shops and stores, filled to the brim with clothing, antiques, sweet treats, books, artwork, toys for the kids, and almost anything else you can possibly imagine. When the weather is nice, street vendors even set up tables in the middle of the Mall, where patrons can browse for a new garment or trinket, all in the open air. You’re certain to find that perfect one-of-a-kind gift, as most of the stores located here keep their products and goods as local as possible! The Downtown Mall also serves as a hub for the arts scene in the Charlottesville area, and several of the most popular music venues in the region can be found here. The Sprint Pavilion, a covered outdoor amphitheater located on the east end of the Downtown Mall, has many talented musical acts grace its stage each year. Past notable performers include: Beck, Hall & Oates, Modest Mouse, and The Avett Brothers, just to name a few. The Sprint Pavilion also hosts other musical events throughout the year, including Fridays After Five, which is a free, family-friendly concert series taking place each Friday afternoon in the spring and summer months. Additionally, the Sprint Pavilion also plays host to wine and craft beer festivals throughout the year, which are enjoyed by thousands! Located in the center of the Downtown Mall is the newly-renovated and restored historic Paramount Theater. Part of the “golden age of cinema,” the Paramount Theater has been at the center of the arts scene for the better part of a century. It features an octagonal auditorium chamber, intricate detailing, brass chandeliers, and painted tapestries, all of which enhance and enrich the visitor experience. This historic local landmark had to close its doors in 1974 – and they would remain closed for the next 30 years. Triumphantly re-opening its doors in December of 2004, the Paramount Theater has once again brought a resurgence of performances to the Downtown Mall. Here, patrons are treated to concerts, plays, operas, presentations and talks by guest speakers, and so much more. A bit farther west on the Downtown Mall is the Jefferson Theater, which features dozens of musical acts, performances, and even late-night dance parties! With these three venues combined, there’s always a show or concert to catch on the Downtown Mall – no matter the time of year! One of the biggest celebrations to take place on the Downtown Mall is First Night Virginia. This family-friendly New Year’s Eve party is the second-oldest First Night celebration in the country and combines music, entertainment, a laser light show, and of course, the famous ball drop. Hundreds of folks bundle up and gather each year on the Downtown Mall to send out the old year and welcome in the new one, a tradition that has been taking place in the Charlottesville area for more than 35 years – and it’s a tradition that doesn’t look to be changing any time soon! Finally, once your day of fun has come to a close, there are plenty of wonderful options for lodging and accommodations near the Downtown Mall. Several hotels, like The Omni or the Residence Inn by Marriott are either on the Mall or are within a short walking distance. 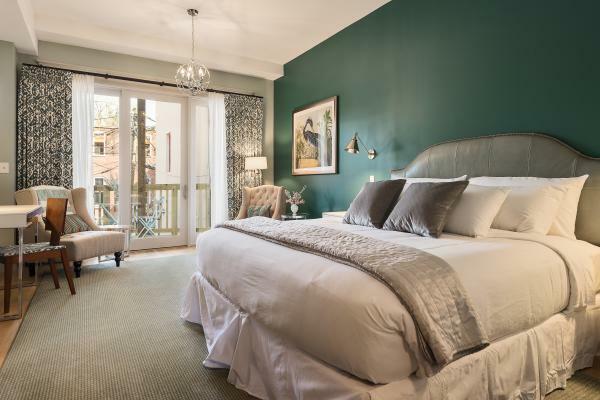 There is also a 4-room boutique hotel called The Townsman, located directly on the Downtown Mall. This hotel is not staffed, so guests are provided an electronic code that allows them access to the hotel and their room. The rooms inside are uniquely decorated and some even offer a private balcony overlooking the Downtown Mall! There are also several other inns and B&Bs from which to choose, all located just a block or two from Downtown. It’s easy to see why the Downtown Mall is such a popular location, no matter the time of year or the weather conditions. With plenty of delicious food, a rich history, shopping options galore, and a thriving arts scene, this vibrant avenue is bustling all year long! We invite you to explore our website to learn more about the Downtown Mall and our destination as a whole. We look forward to greeting you and hope to see you taking a stroll on the Downtown Mall in the very near future so you can experience it for yourself!